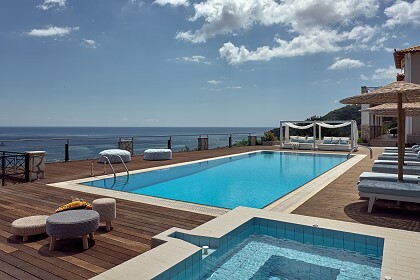 Villa Galanoussa is an elegant two-story holiday villa in the capital of Zakynthos Island, with a distinctive traditional character that can offer you an experience to remember forever. Modern amenities combined with the spacious rooms of the building and the traditional overall feeling make Villa Galanoussa a wonderful holiday option for the traveler who seeks relaxation without having to be far from anything a town can offer. 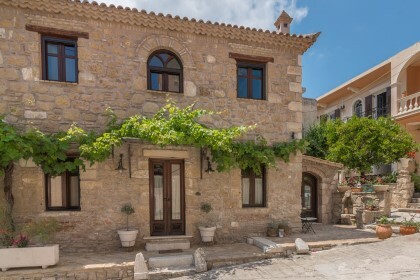 Villa Galanoussa measures 130 square meters and can easily accommodate up to 6+1 guests. On the ground floor, there is a living room and a dining area, as well as a queen-sized bed, which can be separated from the rest of the room by a double curtain. In an adjacent room, one will find the fully equipped kitchen, and there is also a bathroom with a shower. 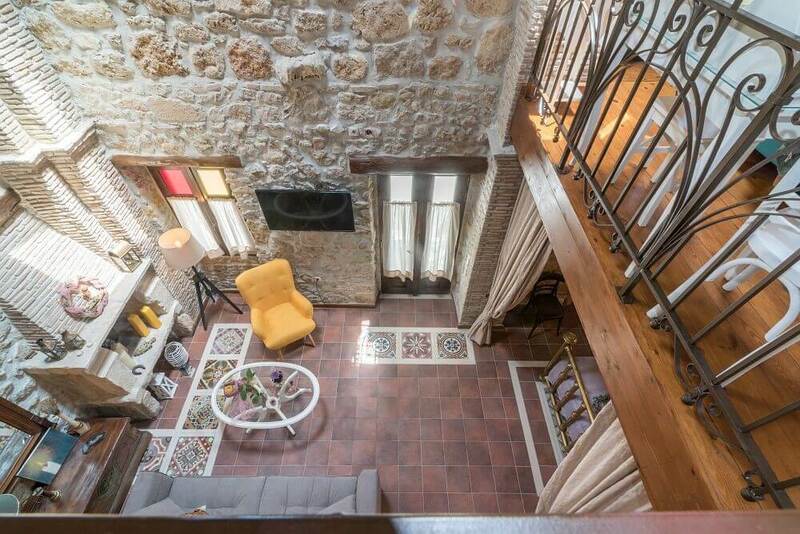 Villa Galanoussa features an open-plan wooden loft, equipped with a queen-sized bed and two single beds (that can be combined into a queen-sized one). All beds of this loft are located in the same room. 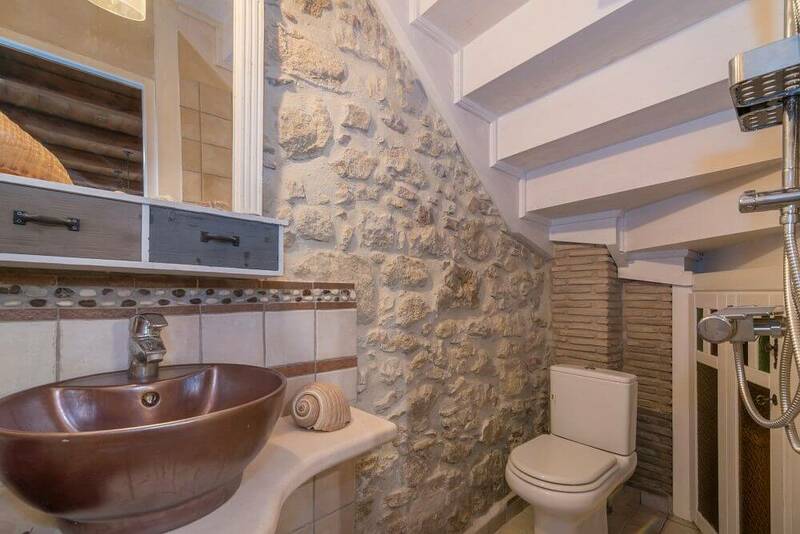 Lastly, the floor offers a bathroom with a bathtub. Since there is air-conditioning and a fireplace, the house is suitable for any season during the year. 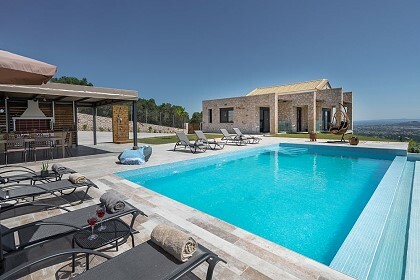 Villa Galanoussa offers, among many others, welcome basket, air-conditioning and free WiFi in all rooms, Satellite TV, 24-hour hot water, and many more. Other extra services such as car, motorcycle and bicycle rentals, boat trips and transportation to and from the Zakynthos Airport and/or port, can be arranged upon request. 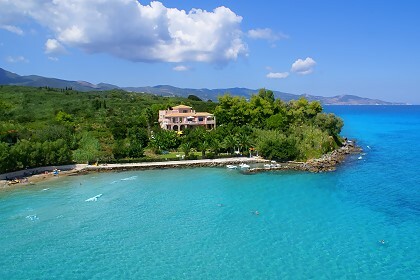 Villa Galanoussa is located in Zante town; consequently, it is close to everything an island capital can offer. 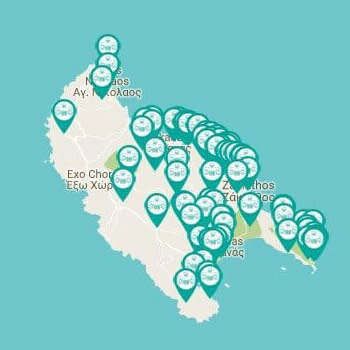 Moreover, the Villa is just a short walk away from numerous famous Zante Town sights, such as museums, picturesque neighborhoods and squares, and all the usual city facilities, such as taverns, supermarkets, cinemas, shops, as well as the port (from which you can embark on a cruise to spot loggerhead turtles in their natural habitat). The Church of Mary Galanoussa is located near the Villa. It is a popular temple that hosts a celebration every Easter.